Leading Australian retailers Woolworths and Coles have announced its new season apples will have no wax added to them during 2017. 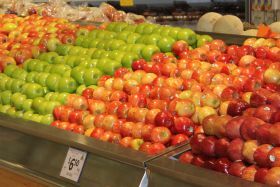 Coles announced it would roll out no added wax apples nationally from January, after successful trials in Western Australia (WA), South Australia (SA) and the Northern Territory (NT). 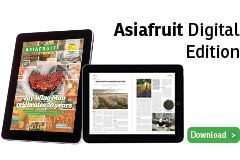 “We’ve had no added wax apples in more than 90 Coles supermarkets in WA since April, and more than 60 stores in SA and the NT since September. 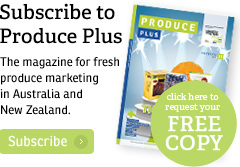 It was a bold move, but our customers responded to it really well which was fantastic,” Brad Gorman, Coles general manager fresh produce said in a company statement. Woolworths will follow suit, announcing it will be adding no wax to new season apples from February 2017. “The primary benefit of applying wax to apples is that it makes the apples look shiny and more presentable in store and at home,” explained Scott Davidson, Woolworths head of produce, in a statement released 29 December. “While an unwaxed apple may look duller, it will still taste just as good and will contain all the nutrients that an added waxed apple has. Woolworths sells 370m apples each year, all Australian-grown, with Pink Lady, Royal Gala and Granny Smith the top-three selling varieties.